Verlocal organizes fun team-building events for Bay Area companies. We've worked with companies such YouTube, SurveyMonkey, Facebook and Lyft. 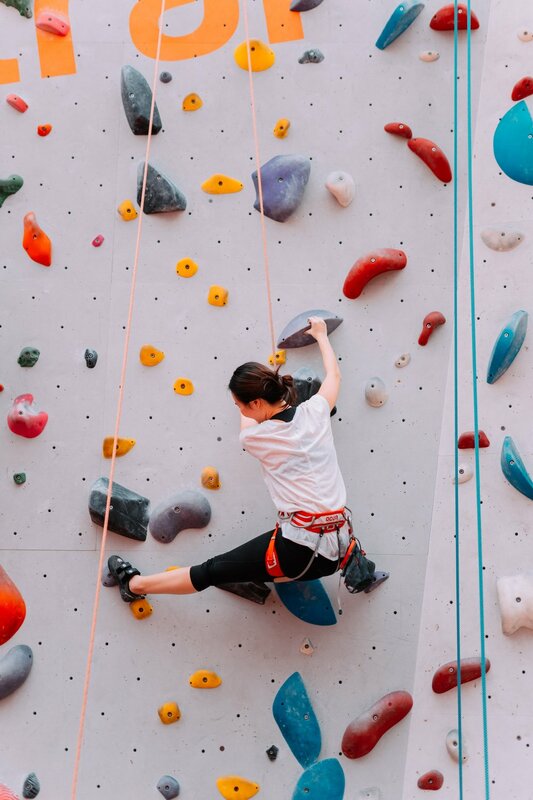 Our platform hosts an array of diverse team-building activities, such as group culinary classes, glass blowing, pottery making, and rock climbing, etc. From working with small startups to large tech organizations, we’ve seen that our activities provide an engaging space to build community, communication, and cohesion, while also supporting local business in the Bay Area. Just a few of the Team Building Experiences we offer! Looking to plan a corporate event revolving around team, muscle, and focus building? Look no further, rock climbing has you covered! Experience a sense of accomplishment by using your focus, perseverance, and motivation administered by your peers when taking on the rock and rope challenges. Develop a stronger sense of communication among your fellow colleagues! Glass Blowing is a great opportunity to expose yourself and your friends or colleagues to this unique and fun art form while focusing on teamwork, problem solving and creativity. This activity makes it possible for small or large groups to experience the enticing medium of hot glass in a variety of formats. From corporate Team Building sessions to just playing with molten glass, we tailor a learning experience through which your group will bond and create their own art glass pieces. 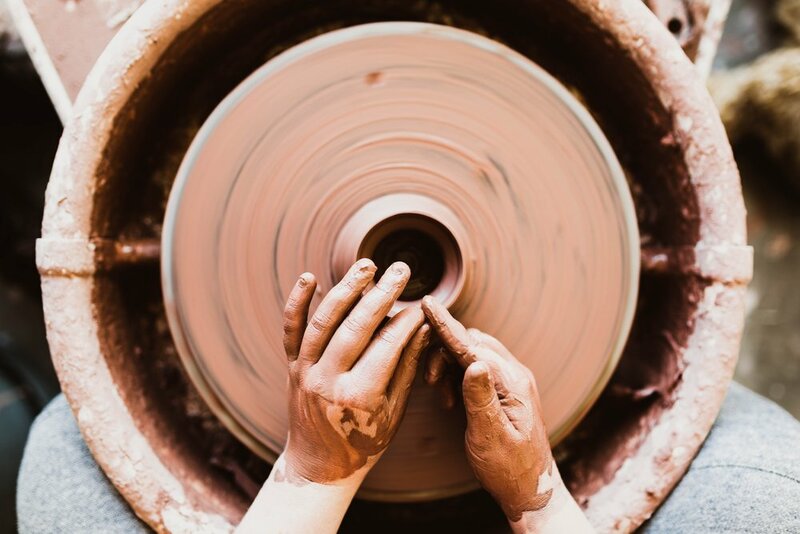 Wheel throwing, hand building, and sculpture are the main focuses with this event to which you can unleash your imagination and create useful works of art for your home or office. Feel the joy of sliding your hands through the smooth clay and making something out of nothing- then wait for your creation to come to life after it cooks in the big kiln. Become world class chocolatiers with this scrumptious team building outing! Learn the ins and outs of making the most delicious chocolate. Workshops include a vast array of chocolate treats to choose from, such as sea-salt caramels, honeycomb crisps, and so much more. Get to know your coworkers through chocolate making. What are you waiting for? Book your event today! This workshop is an amazing way to help clear those busy minds at the office, as well as get creative juices flowing freely. Mess-proof equipment will be provided as well as a wide array of colorful spray paint to use for your company’s artistic disposal. A brief history on the urban art phenomena will also be given, as the city is of course in huge contribution to this movement. Full mural production, take-home canvas tags, stencil, and t-shirt making classes are just a few aspects this team-building workshop provides! Have a different activity in mind? Anything else we should know(allergies, accessibility, etc)?